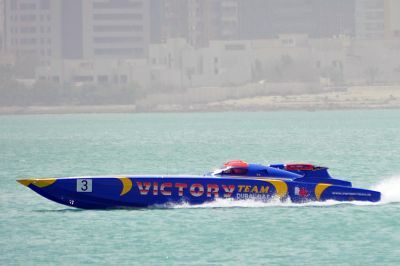 Qatar Class 1 Powerboat Races. Doha, March 2012. The Victory boat during practice.